Any press is good press, and a little controversy never hurt any horror movie in the history of cinema. In fact, the genre has been established on outcries from the public. But a new petition against M. Night Shyamalan's upcoming thriller Split is a little more serious than most. A new petition is calling for a boycott of the movie. And perhaps with good reason. The Care2 Petition Says Split is transphobic and offers a harmful narrative surrounding mental Illness. Anyone who agrees with this message can sign the petition at Care2. The site claims that Split is bringing a backwards representation of gender identity and mental illness to the masses, and it must be stopped! 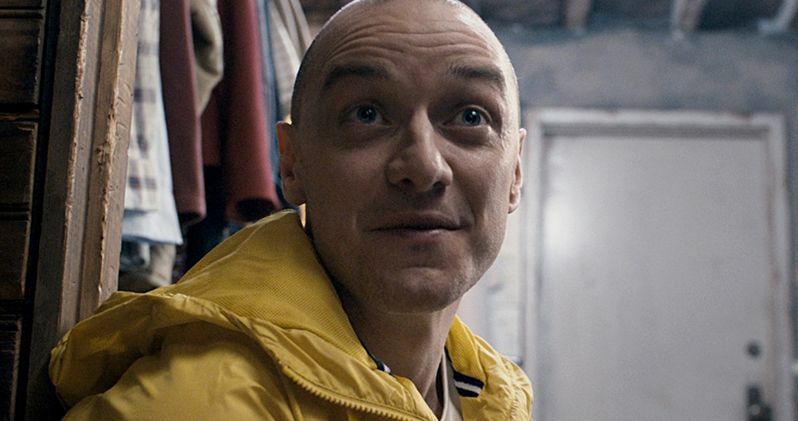 In the film, James McAvoy plays a character with 24 different split personalities, a symptom of dissociative identity disorder. His character kidnaps teenage girls and holds them captive. In the trailer, he can be seen wearing a dress and heels. a trope that Care2 petition author Sarah Rose says 'invokes society's transphobic values in an attempt to scare audiences.' Sarah Rose goes onto say this. "There are a lot of things that are inherently problematic about the upcoming Shyamalan film. We're at a point in society where male-bodied people wearing dresses shouldn't be portrayed as offensive, strange, or scary, but films like this do nothing to counteract that narrative. Additionally, this film paints mental illness as a horror movie plot, and not a real issue that should be addressed seriously and with profound compassion." Politicians and activists have been calling for an increased focus on mental health services in the U.S. Hillary Clinton mentioned mental health as a component of reforming the justice system during the first presidential debate. Sarah Rose, who is also Care2's LGBTQ Issues Advocate, goes onto say this in her Care2 petition. "This isn't the first time a movie has invoked society's transphobic values in an attempt to scare audiences, consider Norman Bates in Psycho and Buffalo Bill in The Silence of the Lambs. Moviemakers like M. Night would do well to move past this tired and offensive trope. As both an advocate for and member of the LGBTQ community and someone whose life has been profoundly impacted by mental illness in those close to me. I find this film and it's subject matter impossible to support." Sarah Rose says she's calling for the boycott because she identifies as trans and mental illness has impacted her life. The movie recently screened at Fantastic Fest, with many fans praising M. Night Shyamalan's work. You can check out the Split trailer here. The movie is scheduled to hit theaters this January. That is, unless this petition makes an impact and Blumhouse pulls the movie from release. Which we doubt will happen.